Bel Ami bid the world farewell this past week. And. Um. Yeah. About that…. E-Kun: So Bel Ami has come to an end… I was really cool with the show until Ma Te went to go apologize to that wench about being born. WTF was that!? Lore: Ummm. Yeah. So, I wanted to punch my screen but I love my laptop too much to ruin it over Bel Ami. Seriously. The entire last hour I think was written by a drunken panda bear or something. Look- The writers of Bel Ami! Lore: Completely agree. 100%. 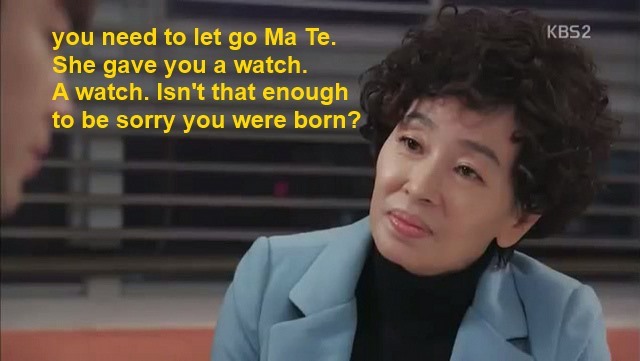 When Bo Tong’s Mom was giving her “I just want you to love your Mom- she gave you a watch” spiel I was thinking “Hmmm, so this is the motivation for the redemption. All in this conversation.” What a load of bull. I mean, this woman abandoned her kid (which fine, whatever, I could maybe forgive that if she showed she had a soul), but then SHE TRIED TO RUIN HIS LIFE once she found him! She did not deserve redemption. And she certainly did not deserve to have her son say anything to her like “Sorry Mom for being born. You are a beautiful person” What?! Are you kidding me! Epic fail show. Epic fail. Bo Tong’s Mom, bad call. E-Kun: She attempted to kill your child mom! It was the most upsetting thing about this show honestly, I could get over the ludicrousy, the plot holes, the fact that they were hell bent on putting Bo Tong and Ma Te together- broke them up and back together again; but the whole bit with the mother really did “chaff my britches” as my mother used to say (She was from Arkansas– country folk say crazy things). E-Kun: I mean, it was a serious foreshadowing when we knew that mom saw them together at the charity event. I was just mad at Bo Tong for 2 reasons: #1- she was wearing that ridiculous Samsung Galaxy watch (I love tech stuff but it really is pointless). #2- she just talked to Ma Te 2 seconds ago, why didn’t she call him after she got that “text”? I would have, given he said he would see me tomorrow, but I guess I allow logic to dictate too much, ne? Then he trying to break up with her when they just got together 2 seconds ago? Show bye! Lore: Ha- that stupid watch! It bothered me too! Good to know I was not the only one! Yeah, right. Why would she blindly follow instructions when she just talked to him? Argh. Times a million. And can I say “Electric Fairy gave him a button!” I, yeah. I get it, but still. A button. A freaking button. E-Kun: This show really pulled out all the crazy towards the end. I felt like I was watching a train wreck unfold before my eyes. The last time I felt this way was when I was watch Spy Myung Wol. Lore: The show up and lost its mind. A button, a kidnapping. And did David ever tell Bo Tong he was an heir? Did I miss that? Was my mind already shutting down at this point?! I feel like I vaguely remember this happening, but I was too busy wishing I was drunk. E-Kun: Hyung told her. She wanted to be mad for 2 seconds but then she said something about understanding him blah, blah, poo, poo. Even David lost his mind at the end- when he had resolved to let go he should have stuck with that, not taking her to a beach and begging her to one day love you. You do deserve love David, but not like this hun, not like this. Lore: So it did happen! I thought it might have, but again I had already checked out. David does deserve love, but not the “Stay with me. You don’t have to love me, that’s okay” kind. Ridiculous. But I guess in the end he did meet someone that liked glamping…. E-Kun: You knew they would not let him end up with no one. The small viewership (4% or less) would not stand for David being lonely and mess anymore. 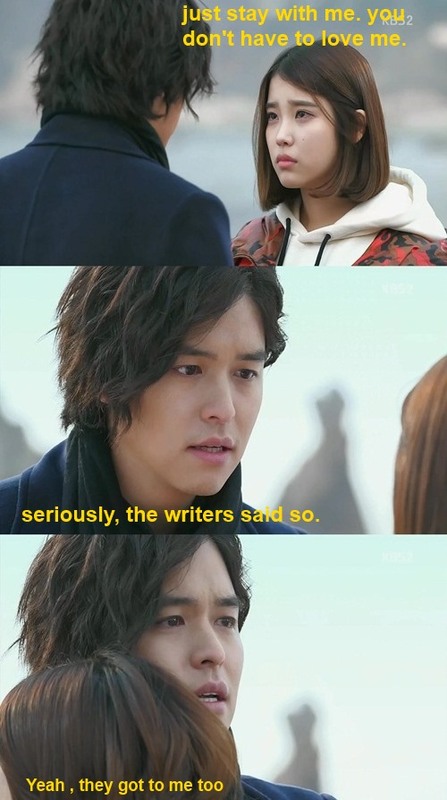 He was too likeable and could not have Bo Tong. Seriously Unni, the best thing about this show was the sound track! Hwanee, Lunafly, 5live (I think they are a new group from JYP? ), Jang Woo. These are the things that made me happy. Geun Suk even sang a song, but uh… he sounded a mess. I should be thankful that he was able to get in the studio, but noona prefers for you to sleep instead of straining yourself to provide a song for a soundtrack that was already pretty bomb. I mean Hwanee was singing– Hwanee (Jang Woo’s cousin)! E-Kun: It was that song that was played the majority of the time… It had a jazzy like rift and it said something about a lovely girl. That was them. Final thoughts? Lore: Bel Ami- I don’t know if you were smoking something in a tent with David or what, but you really had some way out there (not in a good way) ideas of what makes a good drama. And you went bats**t crazy in the last episode. And you made me hate almost all of your characters. And you made me want to start a support group with the other 4% of the viewer population that watched this show….because we need to forget. Very soon. Very, very, very soon. 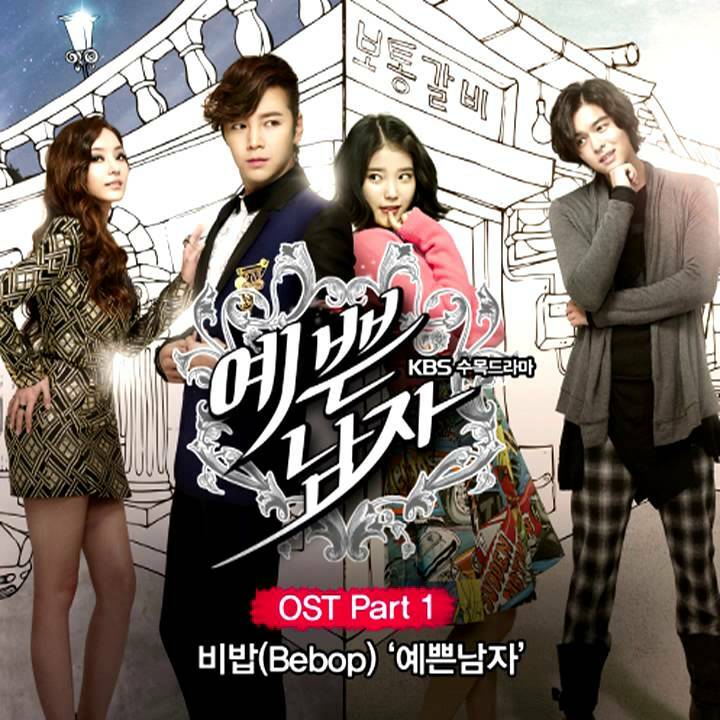 Sorry to say, but this is going on my “Worst dramas of all-time list”. Not at the top, but definitely on the list. I would not recommend this show. At all. Unless I hate you. E-Kun: HA! Well honestly, to me it was not that bad until the last episode. Everything else I could take in great stride because the show had no effect on me until the very end. I don’t feel my time was wasted, but they did take a story that was seemingly decent in storyline, put it into a blender, and try to piece it back together. 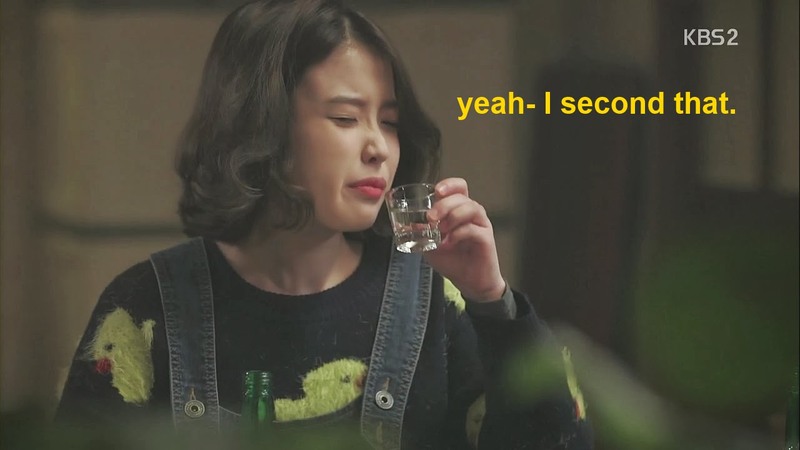 This story had so much potential, and we really could have made this work, but you guys decided to drink Soju and play around instead of thinking and taking the writing seriously. Seriously, 2013 was the year I needed writers, actors, and directors to do something different. This show being #2 on my list. Thank goodness it is over! What did you think of the show, now that everything is said and done? Loved it, hated it, or so-so? Let us know. Look forward to more Super Fun Drama Chat Time coming up soon! To check out previous Super Fun Drama Chat Times check out our Recap and Reviews Page! It was so-so for me. When I saw the first episode I thought it was going to be a funny and cute drama, but it got a little crazy. I didn’t hate it but it’s not something I would want to re watch. I completely agree with you when it comes to Bo Tong being kidnapped. I was yelling at the screen telling her to call him back or at less call him on the way to the place! It was just so dumb. I was cheering when David got a girl. He’s a character who I think is one of the best things about the drama. Even though I came to watch Jang Geun Suk and I’m a little sad that he cut his hair, his character was a let down and the love line could have been better. Although my favorite part of the drama had to be Bo Tong teasing him by pretending to eat the ring. That made the episode a little bit better for me. I believe they could have fixed it if it was a few more episode longer. Like using the lessons he learned and making the love story deeper. But I’m happy it’s over. This drama hands down would have been better if it was more episodes (and I never say that about dramas!). I don’t know, it just seemed like all the characters disappointed me towards the end that I really just didn’t care about them like I did in the beginning. Except for Ma Te– I didn’t like him from episode one and that stayed consistent throughout the entire show. I was relieved when the show ended so I can focus my energy on other things out there. Hopefully Geun Suk (which his agency made him cut his hair, he didn’t want to) will take a better role in the future. Hahaha! No this show is not one I would recommend, unless I know your drama taste. Like I hated Playful Kiss because it was total *censored* in comparison to the Japanese, and Taiwanese version, right? But I have a friend who was in love with it and thought Kim Hyun Joong was the best thing since slice bread! So…. We try to offer recommendations instead of just saying, “Don’t ever watch this drama”. You should check out the “Is This Your Kind of Drama” page.